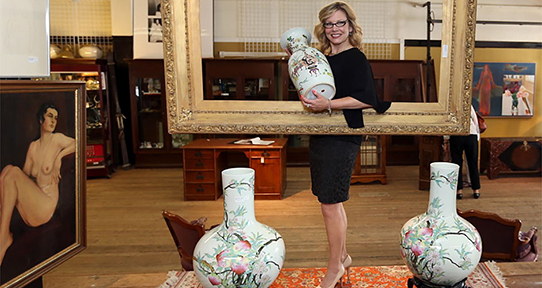 Art History and Visual Studies alumna Alison Ross is the owner and CEO of Kilshaw's Auctions. Photo: Times Colonist. Critical, creative thinking and collaboration are central to our programs and experiential learning is key to our approach. 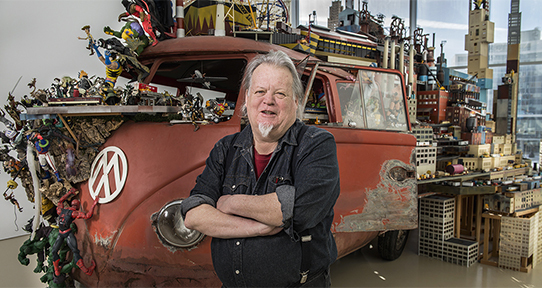 Visual Arts alumnus Kim Adams is considered one of Canada's leading contemporary sculptors. Photo: Henry Feather. Experiential learning is key to our approach, you’ll get real world experience while working towards your degree. 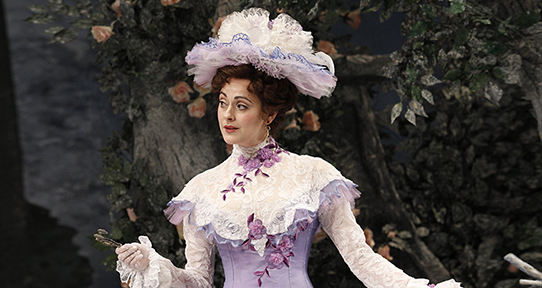 Theatre alumna Sara Topham appeared on Broadway as Gwendolen in Oscar Wilde’s "The Importance of Being Earnest." 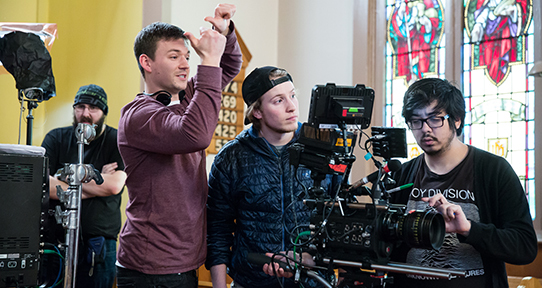 Writing alumnus Connor Gaston on set of his film "The Devout." The film won the top prize (Best Motion Picture) at the Leo Awards and various other awards including Best Screenwriting for Gaston himself. Photo: David Bukach. Discover the many careers that a degree in music can lead to. 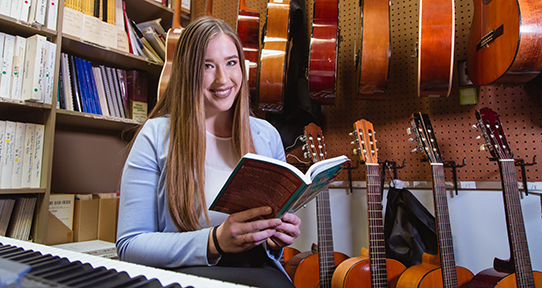 Jilaine Orton chose to pursue a music education career to facilitate music learning for students from all types of backgrounds. What can you do with a degree in Fine Arts? A fine arts education will provide you with essential tools for today’s rapidly changing world. Critical and creative thinking are central to our programs, as is communication and collaboration. Experiential learning is the key to our approach, and is at the heart of everything we do—in Fine Arts, you learn by doing. Whatever your career path, UVic’s Faculty of Fine Arts will inspire and prepare you for life and leadership in the 21st century. If you have questions about career paths, contact UVic’s Co-operative Education Program and Career Services.